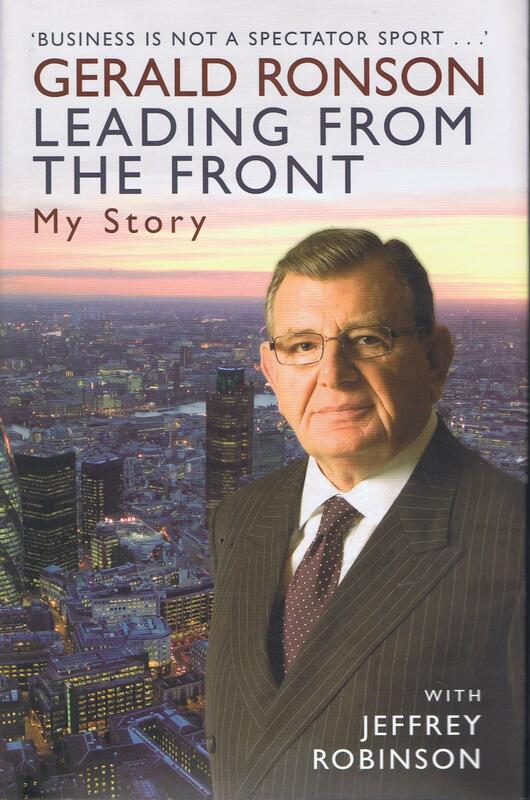 The last of the great British tycoons reveals how he fought his way to the top of the business ladder, lost everything twice, then clawed his way back up again. Amazingly, for a man who now holds an iconic status in British business, Gerald Ronson quit school before his 15th birthday to work with his father in the family's furniture factory. As a young boy, he and his friends were street fighters, using their fists to take on the British fascist movement. This propelled him into a role as a leader in the country's Jewish community, and he is now considered to be the most influential secular Jew in the UK. Ronson will, however, forever be associated with the famous "Guinness Affair," which was the biggest financial scandal of the 1980s. He was found guilty after a media circus of a trial in which the cards were stacked against him, and he spent six months in jail. After Guinness, which Ronson calls the greatest crisis in his life, he suffered a major financial crash that nearly bankrupted him. He then spent the next two decades rebuilding his empire and reputation. Now in his 70s, Ronson spends a great deal of time raising money for charities. His company, Heron, was for a time the second-largest private company in the country, and he is arguably the most respected property developer in Europe. Ronson's candid insights into British business, the British Establishment and justice system, and his friends and foes, make this the single most important autobiography of the year. "Highly readable account of his (Ronson's) half-century at the top of Britain's property business... refreshingly straightforward... His book succeeds in its desire to define what makes a great entrepreneur: boldness, determination, expertise, family support, focus, hard work, passion, patience, persistence, originality--and, as Mr Ronson knows well, good genes and a lot of luck." "Both an entertaining read and educational." "Crammed with anecdotes about key financial and political heavyweights of the past few decades." Jeffrey Robinson has caught perfectly the gruff, proud and sporadically aggrieved voice of Gerald Ronson."